Essential oils are beginning to emerge as a megatrend in the world of health and wellness, and while they are certainly nothing new, these natural substances have experienced somewhat of a renaissance over the past few years. One of the reasons for this has been the increasing shift in consumer preference towards natural, organic foods and health supplements. This can be seen not only in the number of health food stores that are popping up everyday, but also in the changes that are being made to organic product availability in large supermarkets. People are waking up to the dangers of exposing themselves to so many different synthetic chemicals and artificial ingredients in their foods and personal care products, and they’re looking for ways to get “back to nature”, so to speak, by incorporating natural, organic products into their lives. This is one of the reasons why essential oils have taken the spotlight, as they are all-natural, plant-derived oils that are used for all kinds of health and therapeutic purposes. Speaking of which, there’s a company known as Plant Therapy that offers a wide range of essential oils, and this review will give you an overview of what they’re all about. 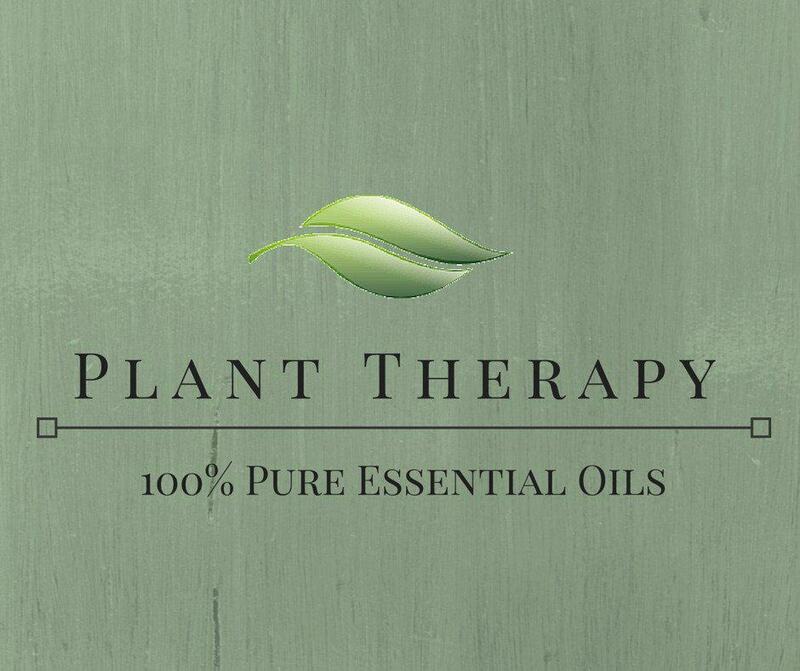 Founded in 2011 in Twin Falls, Idaho, Plant Therapy developed a simple mission statement that would guide every aspect of their business practices, and that was to provide the highest quality essential oils at affordable prices. As bootstrapping entrepreneurs, founders Chris and Amanda Jones decided to start their business in a slightly unconventional way by circumventing the traditional brick-and-mortar route and establishing a strong web presence first. In 2012, they launched a blog and a Facebook business page, both of which were used to grow the Plant Therapy community online. Their business continued to expand, and in 2014 they introduced their “KidSafe” line of essential oils, which were specifically designed for children’s use. By 2015, they had been named by Inc. 500 as the fastest growing essential oil company, and in the present day, their business is continuing to see robust growth. One of the things that the founders emphasize on their website is that they’re not interested in becoming the largest essential oil company; rather, their focus is to “positively impact the lives of as many people as humanly possible”. They believe that one of the primary ways for them to do this is to offer their essential oil products at reasonable prices. These guiding values and principles have produced a thriving essential oils business, and it doesn’t show any signs of slowing down any time soon. One of the things that really stood out to me about Plant Therapy was their approach to maintaining product quality. They start all the way at the beginning of the supply chain, which are the farmers that grow the plants from which the essential oils are derived. Before Plant Therapy even commits to obtaining a sample from the farmer, they do their homework to find out the farmer’s reputation, background, experience, commitment to the industry, and commitment to quality. Once these criteria have been satisfied in accordance with their stringent standards, they will then move on to finding out more about the oils themselves. They run prospective oils through a series of rigorous tests, including an organoleptic test that is typically conducted by Robert Tissarand, a professional with 40 years of experience in testing essential oils. Factors such as color, aroma, consistency, appearance, etc., are carefully evaluated against a strict standard based on what the highest quality essential oils should look and smell like. After this initial testing, a second round of testing is done when the oils are sent to a third-party laboratory for multiple tests, including Gas Chromatography (GC) and Mass Spectrometry (MS) testing (commonly referred to as “GC/MS Testing”). These tests are for the purpose of detecting adulterants, contaminants and/or impurities in the oil. If something “suspicious” shows up in the oil’s composition, they will perform a chiral analysis test, which is basically a more advanced version of Gas Chromatography testing, to see if the material in question is a natural constituent or some type of synthetic addition to the oil. After all of these tests are performed, the oils are finally cleared for use in the Plant Therapy product line. Even when re-ordering oils from established suppliers, Plant Therapy will test the new batch of oils in the same manner. After browsing through their impressive product line, I noticed that Plant Therapy does indeed stick to their claim of offering lower prices on their essential oils, but it should be noted that the lower prices come with a slight compromise in the form of smaller unit sizes. Whereas the standard unit size for most essential oils is a 15ml bottle, Plant Therapy offers 10ml bottles, which enables them to charge less per unit than their competitors. This isn’t necessarily a bad thing, because one of the first things you learn when dealing with essential oils is that they are highly concentrated, and a little bit goes a very long way. You can check out how their pricing on a drop-by-drop basis compares to other companies. As you can see, they are pretty competitive. For the average consumer of essential oil products, they might not see the need in purchasing a 15ml bottle of a particular oil, especially if they will only use a very small amount over a given period of time. Instead, they could find a 10ml bottle to be more economical for their level of personal use, especially when they won’t have to pay as much for that bottle as they would for a 15ml bottle. This is basically a matter of personal preference for the most part, and for the people who see more value in paying less up-front for a slightly smaller amount of highly concentrated essential oil, there probably won’t be much cause for complaint. With all of this being said, I can report that their prices are reasonable in relation to their quantities, with prices ranging anywhere from $6.95 to $84.95 per bottle, depending upon which type of oil you buy. For those who don’t know, essential oils can vary greatly in their prices based on the type of the plant the oil is coming from, as well as the difficulty level involved in processing and extracting the oil from the plant material. As you can imagine, the more difficult it is to grow, harvest and process a given plant, the more costly the essential oil derived from that plant will be. As far as Plant Therapy’s actual product range goes, they pretty much stick with essential oils in their pure form, with only a few minor variants in terms of the products they offer. They have recently ventured into a new range of body care products such as lotions, creams, beard oil and balm. In my mind, this seems to be a good move for a company looking at product diversification. 1. Singles: These are the basic bottles of pure essential oils, with no fluff or extra additives. Plant Therapy offers an extensive range of these single oils. 2. Organic: These essential oils are labeled with the USDA Organic certification, which means that the plants that are used to produce the oils are grown in accordance with the very strict organic standards that have been established by the USDA. 3. Synergies: The Synergy Blends are, as the name implies, a blend of different essential oils and natural compounds that are designed to address certain health conditions, or to promote wellness in a particular area. For example, Plant Therapy offers an Anti-Scar Stretch Synergy Blend, which helps to diminish the appearance of stretch marks. Another Synergy Blend product they offer is Brain-Aid, which is designed to boost memory, improve focus and enhance concentration. So instead of being comprised of a single essential oil, the Synergy Blends are somewhat of a “cocktail” of various essential oils that are designed to work together to bring about certain desirable health or wellness effects. 4. Roll-Ons: These products are basically the Synergy Blends in a pre-diluted roll-on form, so that you won’t have to worry about dabbing or dripping the oil onto your skin. According to the product directions, you are supposed to apply the Roll-Ons to your wrists, forearms, back of the neck, or tops of the feet. There are a wide range of these Roll-On Synergy Blends available, and although I don’t have the company’s official numbers on this, I’m willing to bet that this is one of their best-selling product categories due to the sheer convenience alone. 5. KidSafe: Lest I forget, Plant Therapy also offers their KidSafe line of products, which, as I mentioned earlier, are designed specifically for kids to use. Some of the most popular products within this category include their A+ Attention Synergy Blend, which helps to relieve symptoms of ADD, and their Calming the Child Synergy Blend, which is designed to promote feelings of calm and tranquility for over-excited little ones. In addition to the KidSafe products that are designed for kids only, Plant Therapy has also offered their KidSafe designation for many of their general essential oil products, which means that the product is safe for kids to use as well. I’m a stickler for good website design practices, and in this arena, the Plant Therapy website does not disappoint. One of the things that I thought was a good design move was their “Related Products” section underneath whatever main product page you’re browsing. This seems to be a design strategy taken straight out of Amazon’s playbook, and it’s a very smart one in my opinion, because it does the job of upselling. Plant Therapy also displays customer reviews on their product pages, so that you can get a feel for what other people’s experiences have been with their products. Overall, the website was very easy to navigate, and laid out in a clean, intuitive manner. Being more of a “mom and pop” type of operation, I think that this is where Plant Therapy really shines. The company is an open book, and they offer several different avenues for customers to reach out to them, including phone, email and regular mail. They also offer you the opportunity to receive their newsletter for special savings and deals, as well as professional tips for using their products. If you’re in the Twin Falls area, you can stop by their brick-and-mortar retail store (they eventually did open one) to meet some of the staff and purchase products. Not every essential oil retailer needs to be some huge mega-corporation to deliver high-quality products. I see this with Plant Therapy; they’re a company that, in my opinion, focuses on the most important element of their business, which is to provide the highest quality products for their customers. They don’t have a Multi-Level Marketing (MLM) arm to push their products through a distributor network, yet they just leased an additional 27,000 square feet of warehouse space due to the rapid growth they’re experiencing. With the obvious emphasis on putting quality first, I believe that Plant Therapy has created a great position in the marketplace, and as long as they stay focused on what has made them successful so far, they will continue to be a player in the essential oils space.